Extensive news coverage of humanitarian crises, especially on television, has led to a strong public awareness of the importance of humanitarian activities. This innovative book examines the evolution of Japan’s response to humanitarian crises, placing it in the context of global debates on humanitarianism. Tracing developments from the Meiji period through to the present day, the book explores the broader cultural and historical framework within which Japanese humanitarian ideas and attitudes to human rights have developed. Taking a multi-disciplinary approach the book analyzes Japan’s humanitarian ideas, values and social practices, exploring the changing perceptions and attitudes to overseas assistance. Based on primary research including interview material it provides a deeper understanding of the upsurge in Japanese involvement in humanitarian crises, particularly during the 1980s and 1990s. It includes a variety of case studies with a detailed consideration of Japan’s assistance in East Timor. 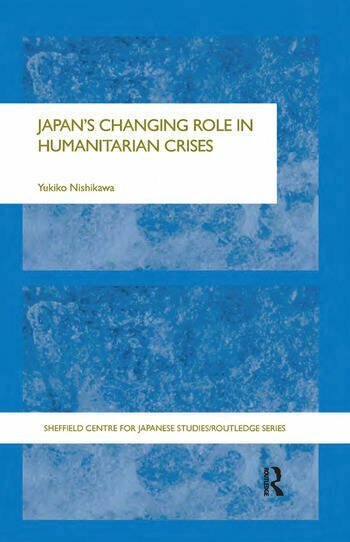 Nishikawa analyzes the case from historical, geographical and political perspectives, illustrating the strategic and political considerations that have influenced the shape of Japan’s humanitarian activities. Nishikawa, Yukiko is currently a Postdoctoral Fellow in the Asia Pacific Research Center, Kobe Gakuin University in Japan.